Ashlee Simpson & Evan Ross Step Out With Their Baby Girl! 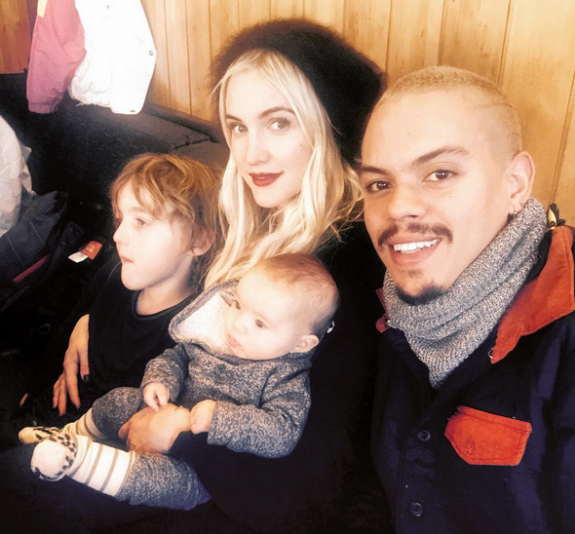 Home » Ashlee Simpson & Evan Ross Step Out With Their Baby Girl! Couple Ashlee Simpson and Evan Ross were spotted showing off their daughter Jagger while out for lunch with friends at Il Pastaio in Beverly Hills, California on December 20, 2015. 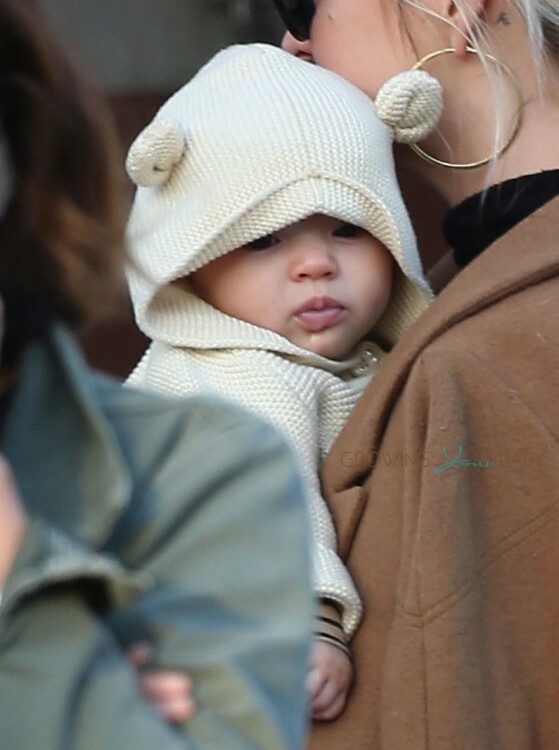 Jagger was bundled up in a beige knitted, hooded sweater to stay warm on a slightly chilly day. Later the doting dad carried his baby girl in an Orbit Baby Car Seat as they met with friends at the upscale Italian restaurant. Since welcoming her in July, the couple has only shared a couple photos of Jagger. While they were in Aspen two weeks ago, however, Evan posted a sweet family photo of him and Ashlee with their daughter and Ashlee’s son Bronx, from her marriage with Pete Wentz. 73-year-old Man Becomes A Dad Again!